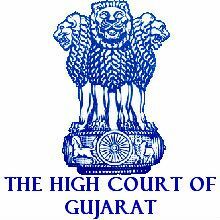 Gujarat High Court Recruitment Notification 2018.Gujarat High Court inviting applications for the positions of Visiting Medical Officer.Interested and Eligible candidates can apply for the positions. Age: Gujarati Stenographer Grade-III, shall not be less than 21 years and not more than 35 years of age, as on 31/08/2018 i.e. the Last Date for submitting the Online Application. Application Fee: Candidates belonging to Scheduled Castes, Scheduled Tribes, Socially & Educationally Backward Classes, Differently Abled Persons (PH) and Ex-Servicemen shall be required to pay Fees of .300/- plus the usual Bank Charges and all other candidates shall be required to pay Fees of .600/- plus the usual Bank Charges via Print Application / Pay Fee Button through SBI e-Pay, provided on the webpage of HCOJAS Portal- http s://hc-ojas.guj.nic.in. 1. Candidates should not contact the High Court Registry by Phone calls/Personal Visits, for making general queries. They should keep checking the High Court-OJAS Websites for updates, and/or 'Brief Advertisement'/SMS Alerts on their registered Mobile/Cell Number. No Phone Calls/Personal Visits, shall be entertained.For general assistance, during the 'Online-Application-Window period', the Candidates may contact the Registry of the concerned District Court/Establishment. 2. Benefit(s) of Relaxation in Upper Age Limit / Examination Fees / Reservation shall be granted to the Candidates belonging to Reserved Categories i.e. SC / ST / SEBC / PH (only Orthopedically Disabled) / Women / Ex-Servicemen, provided that requisite Certificate in respect thereof, as the case may be, issued by the Competent Authority, is produced by the Candidate as and when called for. The final decision, as to the suitability of a Candidate, for the Post, shall rest with the High Court. 3. A Candidate will have to opt for Three Districts, of his/her choice, indicating the precedence of their preferences, for being appointed to the post in question and the Fourth District will be determined by the High Court, depending upon the availability of vacancies against the relevant category of that particular post, in accordance with the merit. Note : Preferences for Districts once selected by the Candidate cannot be changed under any circumstances. 4. The decision of the High Court as to the eligibility or otherwise of a candidate for admission to the Examination / Test shall be final. No candidate, to whom Call Letter has NOT been issued by the Recruiting Authority, shall be allowed to appear for the Stenography/Skill Test and/or Viva-voce Test (Oral Interview).Entry in the Compound of the Examination Centre with Mobile/Cell Phone, Tablets, Laptop, Electronic Gadgets etc. is strictly prohibited. No arrangement for safe keeping, will be arranged, which may kindly be noted. (1) Print-out of the duly filled-in (Confirmed) ‘On-line Application’ alongwith e-Receipt/Challan. (2) School Leaving Certificate or Birth Certificate issued under Birth & Death Registration Act. (3) Educational qualifications i.e. Mark-sheets and Certificates of SSC, HSC, Final Year of Graduation, Post Graduation, as per requirement / applicable. (4) Certificate showing the requisite Speed in English / Gujarati Stenography, if any. (5) Certificate indicating to be possessing 'Basic Knowledge of Computer Application/Operation' issued by Government or Private Institute, as set out by Government of Gujarat, in General Administrative Department Resolution No.CRR-10-2007- 120320-G.5 dtd.13/08/2008. (6) Caste Certificate issued by the Competent Authority of the State of Gujarat, in case, the Candidate has applied under Reserved Category (SC/ST/SEBC) and if belongs to SEBC Category, NonCreamy Layer Certificate VALID for the current financial year. (7) In case of Differently Abled (PH) Candidate, (a) a Certificate from a Competent Authority to the effect that he/she has a locomotor disability of not less than 40% and (b) a Certificate from the Standing Medical Board at Ahmedabad, to the effect that he/she would be able to perform the duties of the post in question. (8) Certificate of Discharge from Service in case of ExServicemen. (9) ‘No Objection Certificate (NOC)’, in case, if employed in State/Central Government. (10) Certificates from Two Respectable Persons being Professionals/ Dignitaries like Doctor, Engineer, M.L.A., M.Ps., certifying of his/her good moral character (original) (To be issued in last 6 months). 1. Before filling-up the ‘On-line Application’, Candidate is advised to thoroughly read and understand the Detailed Advertisement and the Instructions therein and should ensure that he/she fulfills all the eligibility criteria and other norms mentioned above and that the particulars filled-in by him/her are true and correct in all respects. 2 .In case, it is detected at any stage of Recruitment Process or even after Appointment, that a Candidate does/did not fulfill the eligibility criteria/ norms and/or that he/she has/had suppressed / twisted or truncated any material facts, his/her Candidature shall be liable to be Cancelled. If, any of these shortcomings is/are detected even after Appointment, his/her service will be liable to be terminated with immediate effect. 3. At the end of the process, the Candidate shall take the ‘Print Out’ of his/ her ‘Confirmed Application’ by clicking ‘Print Application’ Tab in the Main Menu and retain atleast TWO copies of the same for future reference & use. Note: Print Out of 'Online Application' can be obtained till last date of Online Registration window i.e. 31/08/2018.